How to talk to children about spiritual matters? Children love stories. David the shepherd When young David offered to fight the giant Goliath he said to King Saul that he was always able to protect his sheep by fighting lions and bears. 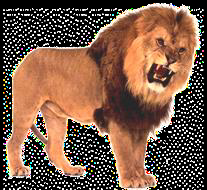 He said that he caught the lion by its beard and struck and killed it. David trusted his God to deliver … Continue reading How to talk to children about spiritual matters? Posted on 1st May 2014 Author EditorCategories Other arts, The artsTags Aslan, children, Daniel, David, Jesus, lions, Ruth Duckworth, Samson, storiesLeave a comment on How to talk to children about spiritual matters?